Codeine is a narcotic analgesic used for the management of moderate to severe pain. Codeine acts by binding on the opiate receptors found in various areas in the body, which limits the nerve impulses of pain to the brain thereby limit pain sensations. Aside from pain management, codeine may also be used as an antitussive; thereby it occurs in combination with other cough remedies. 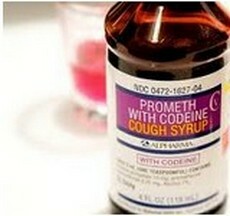 Since codeine is a narcotic, it also has the potential for codeine tolerance and dependence. It may also lead to codeine withdrawal, but tend to be milder than morphine withdrawal. Aside from these effects, codeine may also cause codeine overdose because it is not naturally occurring in the body and the increased codeine may lead to intensified effects of binding at the opiate receptors in the body. The overdose levels of codeine depends on the age of the person. Adult dose may reach up to 120 mg in a day. An increased codeine dosage exceeding 120 mg in a day may lead to codeine overdose. In pediatric clients, a dose of more than 60 mg in a day may already produce significant codeine overdose symptoms. Changes in the level of consciousness mark the progress of CNS depression. It may start as drowsiness, which may progress to stupor and even coma when not managed correctly. The alteration in the nerve impulse transmission in the brain may also lead to recurrent seizures. This is considered life threatening because recurrent seizures may lead to brain damage. The pupils also constrict as a result of too much codeine. Health care workers usually monitor the pupils of the patient under narcotic use to determine codeine overdose. Coma is the end effect of codeine overdose because of severe CNS depression. This may result in premature death because of respiratory collapse. This is also a life-threatening effect of codeine overdose. The respiration rate should be frequently observed. The presence of respiratory rate that is less than 12 breaths per minute may signify respiratory collapse. Apnea is the absence of breathing. This usually occurs because of severe CNS depression that also affects the respiratory center of the brain located in the brain stem. This may also occur as a result of spasticity of the respiratory muscles. The main reason of codeine overdose is the presence of accidental or intentional ingestion of high amounts of codeine or codeine containing products such as cough medications. Accidental ingestion usually happens among children and geriatric patients. Gastric lavage is done to cleanse the stomach. It involves the instillation of normal saline solution in the stomach through a nasogastric tube with subsequent aspiration of the fluids to ensure that the poison is removed from the upper gastrointestinal tract. Activated charcoal is also used to help absorb the toxins in the stomach to prevent intestinal absorption of codeine. IV fluids are administered to support the vascular tone and manage hypotension. Those experiencing respiratory affectation may require oxygen support such as oxygen therapy or mechanical ventilation depending on the severity of the condition. Narcotic antagonist in the form of Naloxone is given as an antidote to narcotic overdose. This acts by reversing the toxicity by competing on the opiate receptor sites.